(Bloomberg) – Ivan Glasenberg said there will be a generational shift at the top of Glencore Plc over the next few years, suggesting a period of upheaval for the world’s largest commodity trader that’s unprecedented in its short history as a public company. Glasenberg said he’s actively looking for the next chief executive and plans to retire in the next three to five years. He also announced the retirement of two top lieutenants and spoke more about the issue of succession than he has ever done in public before. The comments show that Glencore is preparing for major leadership changes at the same time it faces some of its toughest legal challenges. The company has come under intense pressure following a string of investigations into its dealings in the Democratic Republic of Congo, one of the poorest and most corrupt countries in the world. It’s the first time that Glasenberg has publicly talked about a short list of successors and will spark speculation who could be a candidate. In the past, the CEO said he’d stay until being pushed out by a younger, hungrier trader in Glencore’s dog-eat-dog culture. In 2013, he told Bloomberg News there were no talks about succession. Glasenberg, a workaholic, straight-talking South African who has become the public face of the commodity trading industry, has led Glencore for nearly two decades together with a small group of top traders. “Do I think it will change with me leaving? I don’t think so,” Glasenberg said. The eventual leadership change also presents another risk. 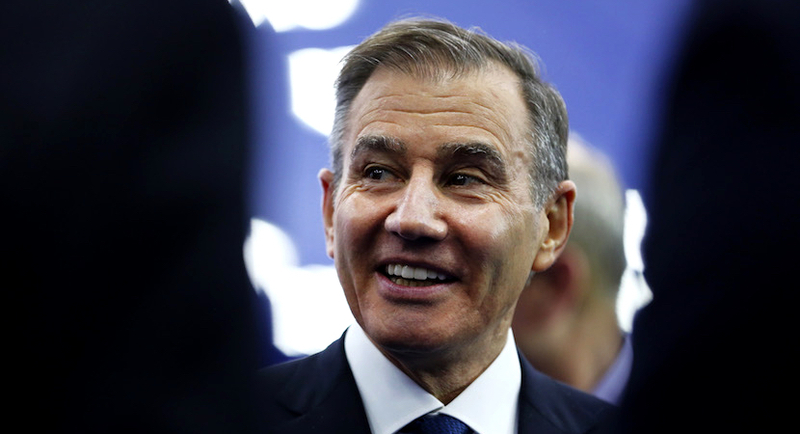 Glasenberg is Glencore’s second-largest shareholder, and Mistakidis its sixth-largest, according to Bloomberg data. Together, Glencore’s management, who listed the commodity trader in 2011, still own about 30% of the shares. The stock has plunged 23% this year, underperforming the broader FTSE 350 Mining Index. PREMIUM: Glencore gambles in Venezuela, Nigeria, Congo. FT asks: Has Ivan Glasenberg gone too far? “I don’t think there’ll be an overhang,” Glasenberg said of the departing executives. He said that he wouldn’t sell any shares while at Glencore or within a three-year period of leaving. Whoever takes over the reins should be about 45 years old at the time of the succession, Glasenberg said, implying that none of the top traders who took the company public are likely to be chosen successor. “In three to four years, there may be a woman in that pack,” he added.